Oh, hi guys. 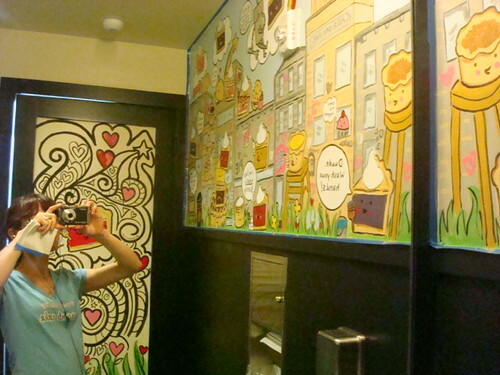 You know how I love to (totally normal) do murals in bakery and sweet-shop bathrooms? 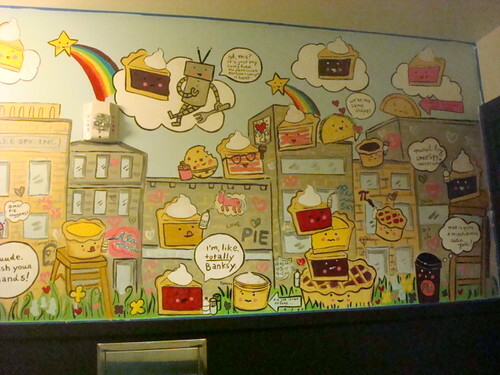 I did a mural in the bakery bathroom at Cake Eater bakery in Minneapolis (now a doughnut shop) and another at Bluebird Ice Cream in Seattle. 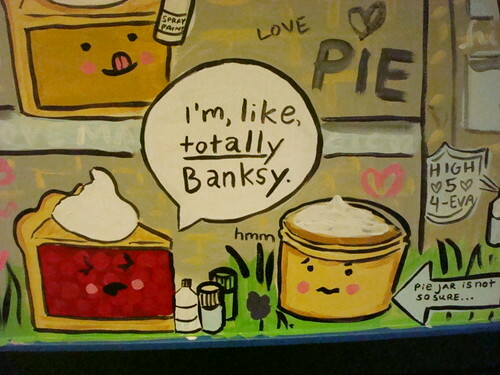 Well, I just realized that I never told you that I did a third one, at High 5 Pie in Seattle. If you've been to High 5 Pie recently and used the restroom, this is probably not news to you. But then I took out my pencil and started making marks on the wall. 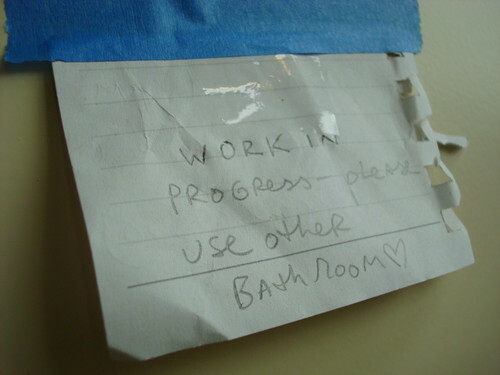 I made sure to make a sign so that I wouldn't be...ummm...interrupted. And I broke out my paint and got to work. The owner, Dani, had been concerned about my precious mural being graffitied--I didn't mind if it was, but it gave me an idea: what if I made it graffiti-themed? 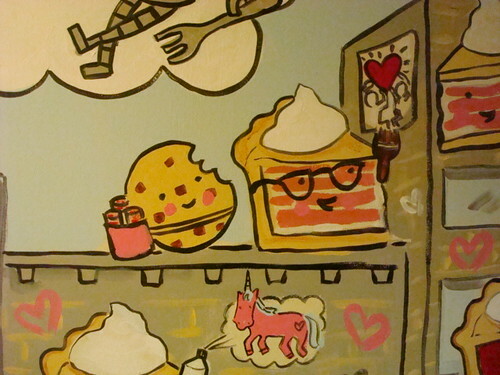 Sweet little pie taggers! Here are some shots of the finished work. My apologies as bathrooms never have amazing light for photographs! 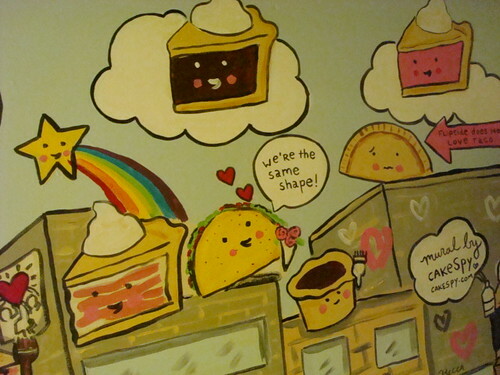 ...and of course a taco in love with a hand pie, a love story that is not gonna work out, I don't think. You can see me taking a picture in the mirror here. 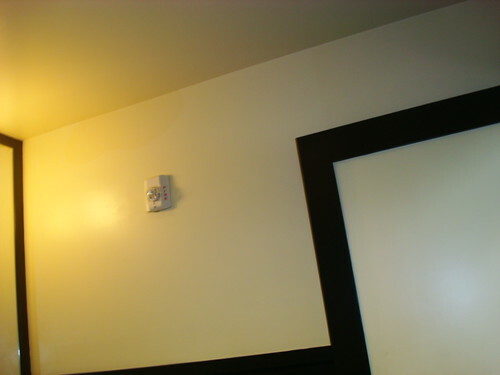 I painted all that! 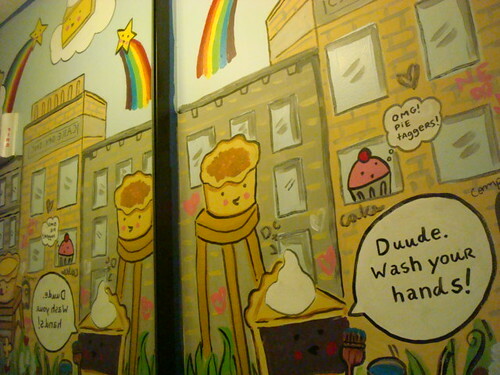 Thanks to High 5 Pie for letting me hang out in their bathroom for a long time!